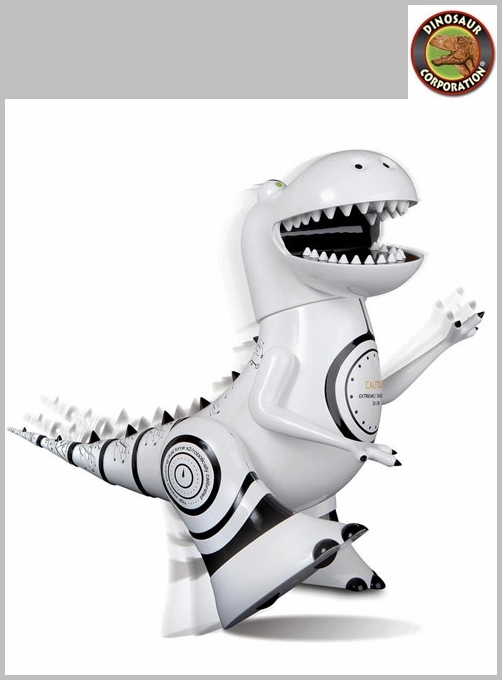 Train your own robotic dinosaur! 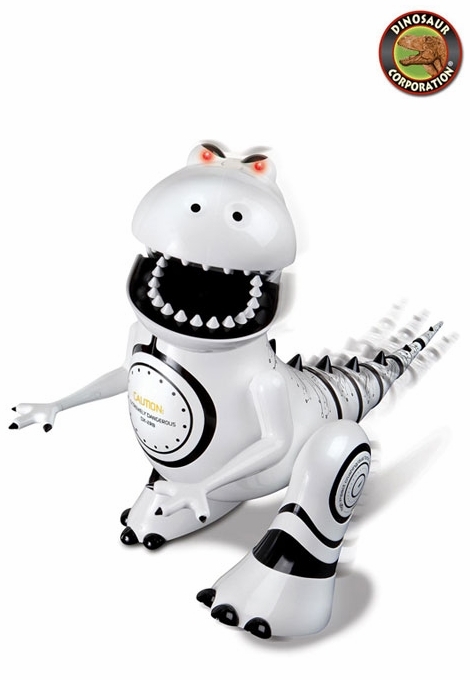 The Interactive Remote Controlled Dinosaur has mood sensors and built-in sound effects. His eyes change colors to fit his mood and if he gets mad - pet his sensors to calm him back down! Set Robotosaur on hunt mode to find items around the room and use his motion detection to guard your room and alert you of any intruders trying to get in. He walks, spins, sits, and stomps and also snores and roars!